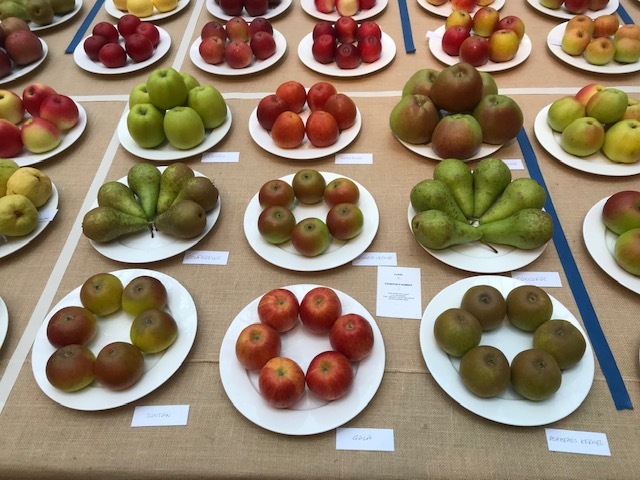 At the RHS London Harvest Show, 2nd October 2018, Eastcote Horticultural Society was awarded the Affiliated Societies Cup for the best collection of apples and pears at the RHS Show. Gerry Edwards, our Chairman, was delighted to collect the Cup on behalf of the Society. 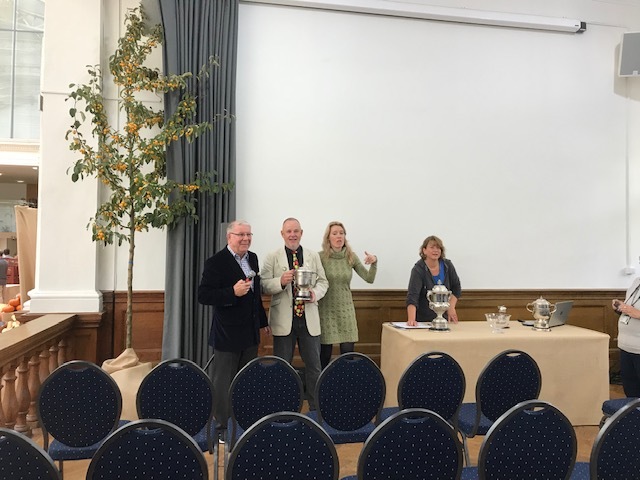 Left: In the photograph are Gerry Edwards, Colin Spires, who is Chairman of the RHS Show Schedule Committee, and the Director of RHS Shows.